Colman Engineering is a civil engineering consulting firm with a focus on land development and water resources planning and design, as well as environmental assessment and planning services. 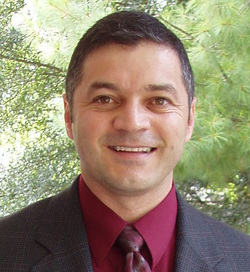 Gil Colman is a licensed Professional Engineer in Virginia, with over 20 years of experience in civil engineering. He holds a Master of Science degree in Civil Engineering from Virginia Tech, where he focused on Environmental and Water Resources Engineering. He is a Certified Floodplain Manager (CFM) and a member of the Association of State Flood Plain Managers (ASFPM). Gil is also a member of the American Society of Civil Engineering (ASCE), the National Society of Professional Engineers (NSPE), and the American Water Works Association (AWWA). Additionally, Gil serves his local community as a City of Harrisonburg Planning Commissioner and member of the Harrisonburg Board of Zoning Appeals. He also serves as the Vice President of the Central Valley Habitat for Humanity Board of Directors. Taking a comprehensive, whole-picture approach to your site. We look beyond the task at hand, considering factors that may affect your site now or in the future. Building harmony between your project requirements and government regulations. By working together with regulators, we can design plans that travel through the review process more smoothly. Working together with you, every step of the way. Our high-touch approach means we can respond quickly to changes, to keep your project moving along. Engineering is a great profession. There is the satisfaction of watching a figment of the imagination emerge through the aid of science to a plan on paper. Then it moves to realization in stone or metal or energy. Then it brings homes to men or women. Then it elevates the standard of living and adds to the comforts of life. This is the engineer’s high privilege.